This stylish well-presented cottage benefits from local magnificent mountain and forest/ river views. The grounds are adequate for extra family members with tents. 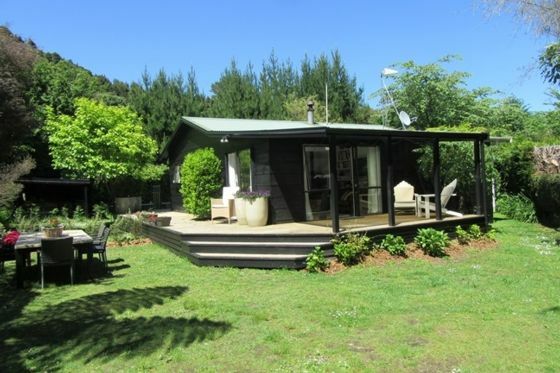 Located in the beautiful picture post card village of Hatepe, just a short drive from Taupo or Turangi townships and in the heart of the Great Lake Taupo. The village offers access to a tennis court, Marae and friendly locals. Water sports enthusiasts will be delighted with Hatepe, perfect for boating, sailing, kayaking, swimming, paddleboarding and more. Lake Taupo and the infamous Hinemaiaia River offer excellent fishing opportunities for trout both fly and boat. Walkers, mountain bikers and hikers are also catered for with the famous Tongariro Crossing, hiking and the fabulous woodland bike trails of the entire Lake Taupo area to explore. This a fantastic base to explore this area of outstanding natural beauty. No Smoking anywhere on the property. Please advisde your guests. Turangi,Tongariro Crossing,Fly Fishing Skiing, Hiking all at your backdoor! Cute cottage that felt homely, comfortable & was clean. Great stay and owner was helpful, contactable & accomodating. Was a little close to SH1 & although you couldn't see the road you could hear it. Having said that, it was not intrusive and did not affect us altho my wife did notice more than me, esp at night. Had most things needed except bread knife and only one rubbish bag but other than that was all good. Secluded garden was nice. If you have a boat there is space to park but reversing down the ROW was tight. Would recommend & return. Gorgeous cute Bach with everything we needed. Clean and well presented. Highly recommended.